Expect queues and noise but don't expect table service when the humble Michelin-starred Singaporean food stall Hawker Chan opens its Melbourne spin-off on December 8. Chef Chan Hon Meng has teamed up with brand manager Hersing Culinary (the company that brought Tim Ho Wan here in 2017) to give Melburnians a taste of the Hong Kong-style barbecue that wowed inspectors from the French-based restaurant guide. 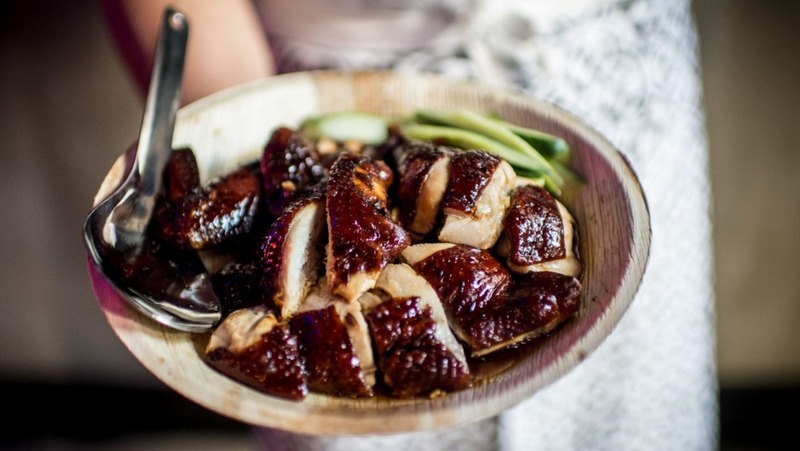 Touted as the world's cheapest Michelin-starred meal, Hawker Chan's menu is built on Meng's chopped-to-order crisp-skinned soy chicken, char siu (barbecued pork), crisp-skinned roast pork and pork ribs. Prices start at $6.80 for a plate of the signature soy chicken and rice. Noodles are extra, and pickings are slim for vegetarians – little more than tofu, bean sprouts and seasonal vegies. 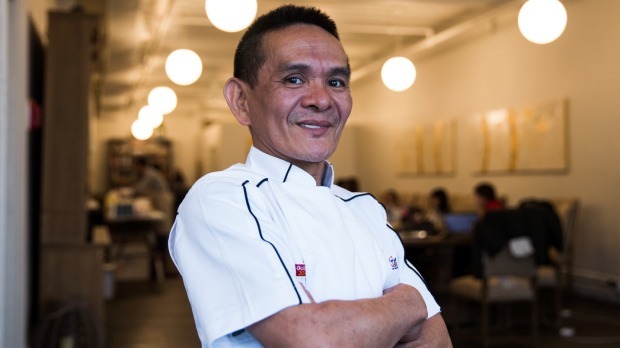 In Singapore, chef Chan works alone in a locked kitchen with blacked-out windows to mix the secret soy chicken marinade, which is being imported so the Melbourne kitchen can maintain the consistent Hawker Chan flavour. The 92-seat Lonsdale Street restaurant, on the site that previously housed Kokoro Ramen, has been given a neutral fitout – pale timber, tan banquettes, grey tiles – save for a bright-lit Hawker Chan logo on one wall. 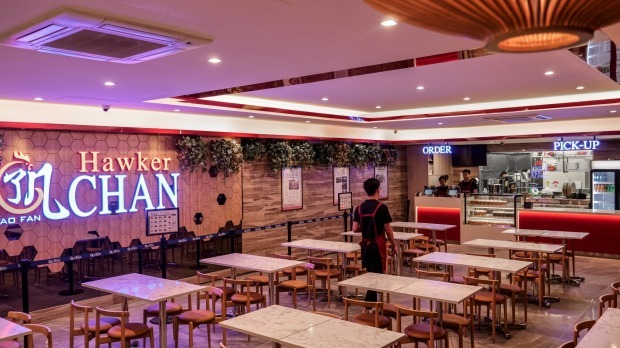 Diners will queue at the counter to place orders or use the self-ordering system, collecting their tray when their number flashes up on a wall-mounted screen before heading to their table. Staff will be on hand initially to help manage the expected crowds, but won't take orders or bring dishes. Think of this as fast food, with an Asian hawker spin.